We can soon expect our annual doses of wintry weather. On average, we can expect measurable snowfall, sleet, or freezing rain just less than twenty days a year in the Bay watershed. Even a small amount of wintry weather can create headaches for commuters who drive along the 200,000 mile network of roads that connect communities across the Chesapeake Bay. It is not surprising then, that local and state highway agencies make herculean efforts to quickly remove snow and ice from roads and freeways so our society can keep moving. Increasingly, they rely heavily on road salt and other deicers to keep roads open and safe. This article examines what happens to road salts applied to roads and their impact on stormwater and the aquatic environment. Road salting is a pretty recent phenomenon in our region. Prior to the 1970’s, sand and other abrasives were the primary weapon of choice to attack snow and ice. With the advent of new spreaders and increased road traffic, highway agencies shifted toward heavier use of road salt in the winter. Annual road salt use has gradually increased over the last two decades, and now fluctuates between 10 and 20 million tons per year on a nationwide basis, depending on the severity of the winter. Despite the fact that much of the Chesapeake Bay watershed is situated below the traditional “snow-belt”, we apply a huge amount of road salt. About a third of all road salt used in the U.S. is applied to states in the mid-Atlantic region. In our region, about 20 tons of road salt is applied to each mile of four lane highway, in a normal year. 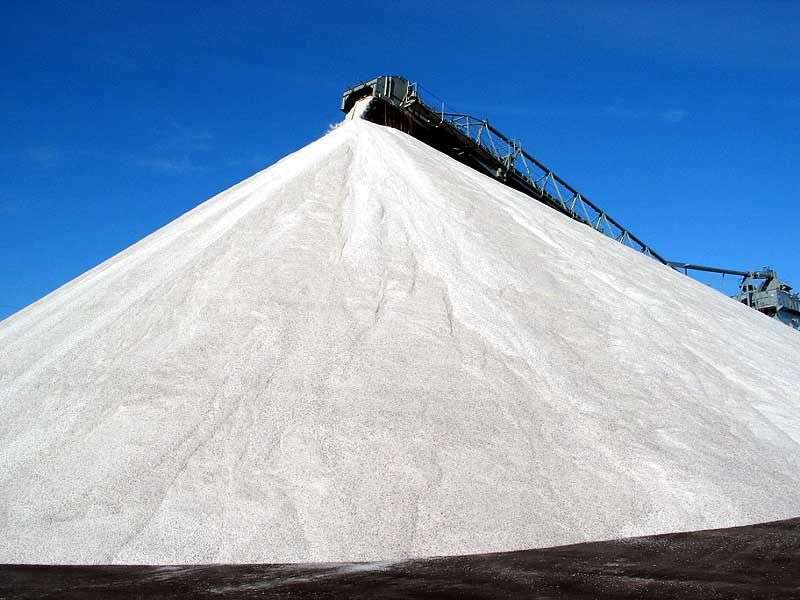 While exact statistics are not available for the total amount of road salt used, CSN conservatively estimates that about 2.5 million tons are applied across the Chesapeake Bay watershed each year. That’s a lot of salt. Chloride is one of the main components of road salt, and is extremely soluble in water. As a result, there is virtually no way to remove chloride once it gets into the watershed. In reviewing national studies of BMP performance, I cannot recall a single instance where any kind of BMP showed any capability of removing chloride, and numerous instances where chloride removal was negative. High salt levels are frequently measured in roadside soils. The saltiest soils occur within a few feet from the blacktop, but the influence of salt can extend as far as 100 feet from a major highway and 50 feet from a two-lane road (salt is transported by spray from fast moving cars and trucks). High salt levels are usually observed in lawn soils within five or ten feet of streets, sidewalks and driveways. 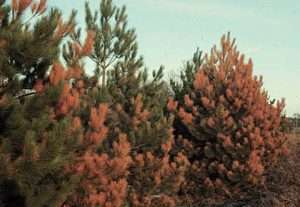 Many species of trees, shrubs and ground covers are extremely sensitive to high soil chloride levels, and may be killed, dieback or fail to germinate. Indeed, highway researchers report that as many as ten percent of trees found along road corridors are harmed by road salt. The impact of adjacent road salt on plant survival is an important design factor for stormwater practices that rely on vegetative cover, such as bioretention, swales and constructed wetlands. When a stormwater practice drains a highway, street or parking lot that is heavily salted, then designers need to pick tough plant species that can tolerate high chloride levels. I am always reminded of this fact after I visited two bioretention cells built on the campuses of the University of Maryland and Villanova in the early spring. At any rate, I have compiled a list of common plant species that are at high risk from road salt. Perhaps some our landscape architect friends can expand this list, and also come up with a companion list of salt tolerant bioretention plant species. Some plant species flourish in soils with high chloride levels. Two notable examples are cattails and Phragmites; two hardy and invasive wetland species that prefer brackish water and are often are ubiquitous in roadside swales and constructed wetlands. Since most swales and wetlands receive road runoff, designers should be conscious of choosing salt tolerant wetland species, and ensure there is a range of micro-topography to create plant diversity (see ChesNet StormNews # 5). 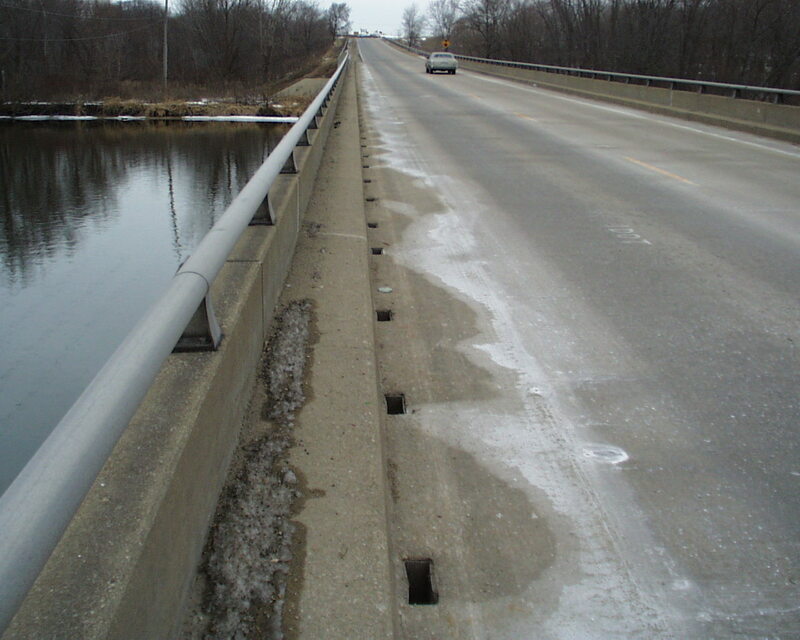 Highway engineers are acutely aware that road salt can do major damage to road infrastructure, such as bridge decks and paving. The same is probably true for stormwater infrastructure, but most designers don’t think about long term damage to concrete pipes, permeable pavers, and metal corrosion (e.g., valves, pipes, grates, and the like) that influence of the longevity of their practices. The road salting that keeps our society moving in the winter clearly has a large economic and environmental cost. To date, no cost-effective alternative to road salting has emerged, although research efforts are continuing to evaluate some promising candidates. Highway agencies have begun to take the salt problem seriously, and are working hard to develop new technology to reduce its environmental impact. Examples include the construction of salt domes to safely store salt, use of calibrated spreaders to apply the right dose, improved driver training, more sophisticated forecasting methods to treat roads at the proper time and the designation of low salt application zones near environmentally sensitive areas. Most highway agencies are now covered by MS4 stormwater permits, so they will soon be challenged to show how new road salting technologies can actually reduce chloride inputs to Bay watersheds.